Who doesn't like a Wooly Bears? Even if you hate insects, you'd probably make an exception for Wooly Bears. 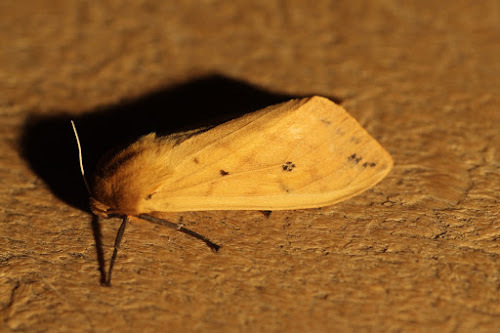 While many know that a Wooly Bear is a caterpillar, and that caterpillars are the larva of butterflies and moths, most are unclear what they eventually turn into, which is an Isabella Tiger Moth, Pyrrharctia isabella a member of the Tiger Moth family, Arctiidae. While the Wooly Bear has a firm place amongst the charismatic micro-fauna of eastern North America, the Isabella Tiger Moth, despite its impressive name almost qualifies for the LBM category. One reason for the Wooly Bear's popularity is its tendency to wander about during the day, which makes them easy to find. Most caterpillars stay hidden with their food plant and/ or are mostly active at night to avoid predators. Why they wander isn't really known. It could be to find a suitable hibernation place. Another explanation is they are seeking certain plants to eat. Although Wooly Bears eat a large variety of low growing plants and grasses, it is thought they seek out certain plants containing toxic pyrrolizidine alkaloids. P. isabella overwinters as a caterpillar. They are often active later into the fall than most other caterpillars. 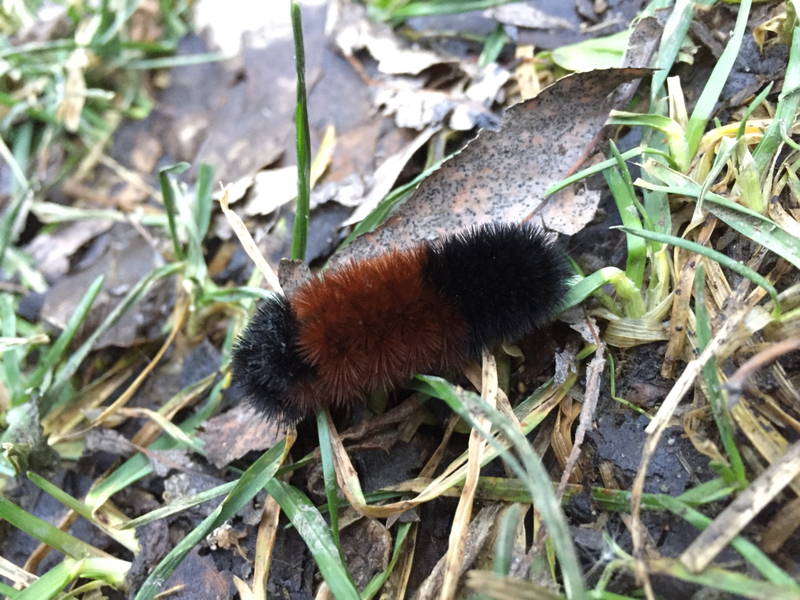 I found the wooly bear pictured above in mid-November. 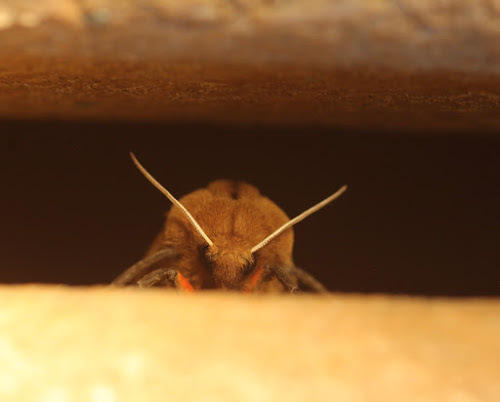 The moths are active in the early summer. The individual pictured in this post was found in late June on an otherwise mothless night.